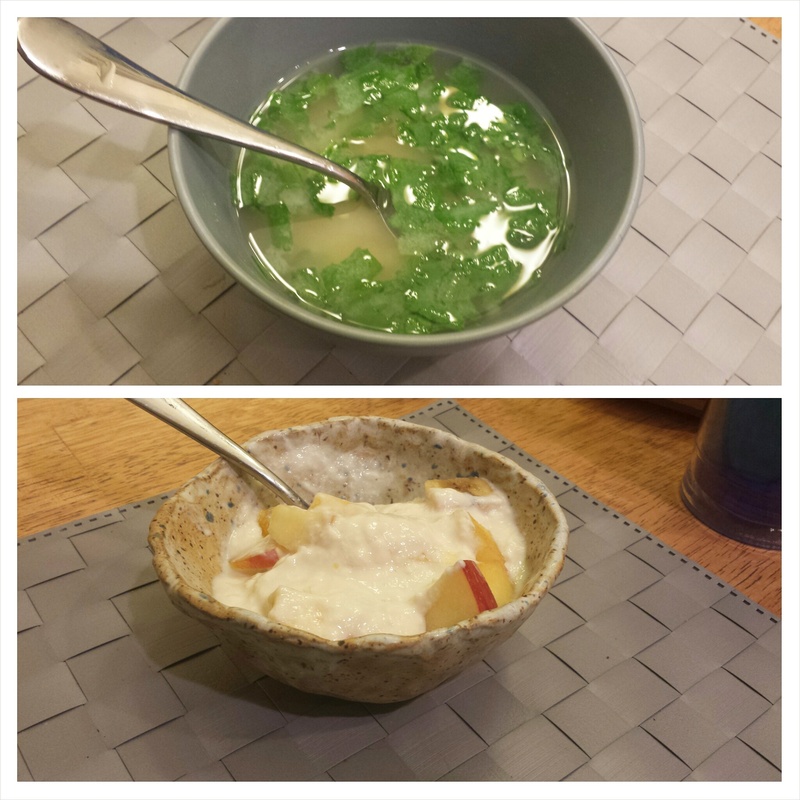 Breakfast – Miso soup with green onions and spinach and soy yogurt with diced fruit. My Mum and I went out for Sushi Sunday night and I got miso soup. I adore miso soup. I have no clue why I don’t eat it more. Monday morning I still wanted Miso soup…and decided to see if that was a normal thing to eat for breakfast. (not that I cared if it wasn’t…) So I googled “Miso Soup for Breakfast” – and it turns out it’s actually a very normal thing in most other countries. So, Miso Soup it was. Super simple fast to make. 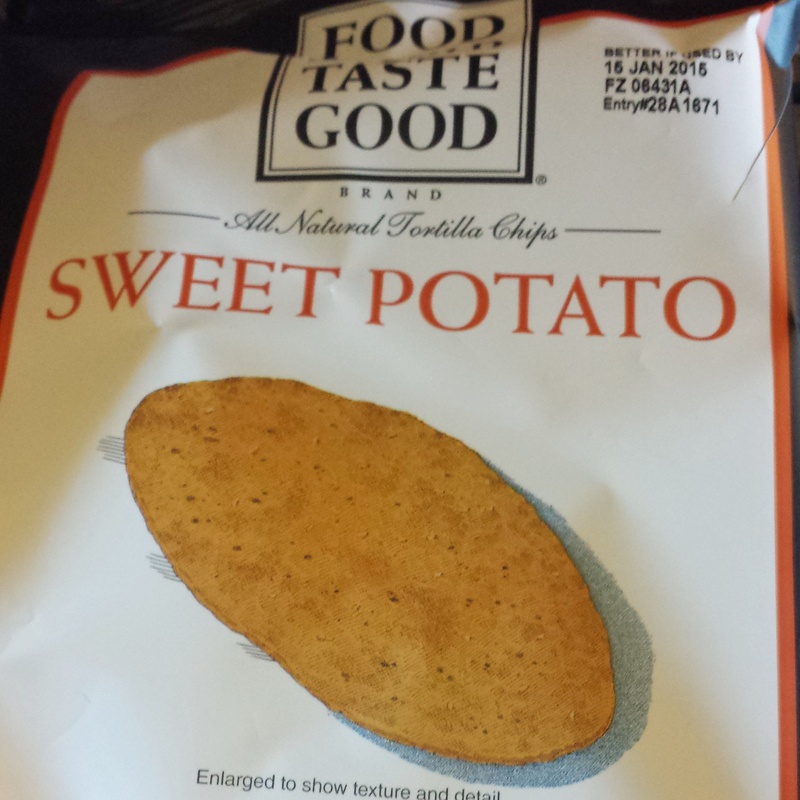 Super delicious. 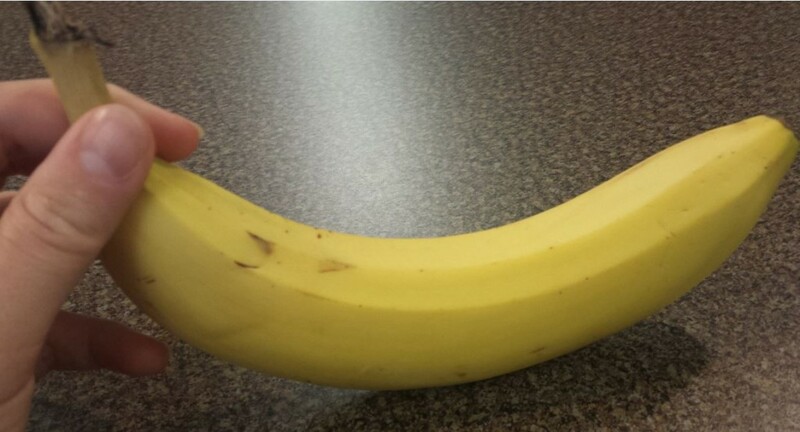 End of work day snack: I saw this banana and it just looked so lonely. My solution? Eat it. Dinner: Sometimes I get so excited about dinner I forget to take a picture. I ordered take out from my favorite place in town. 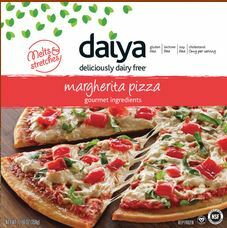 Nathan doesn’t love to eat there, and he’d already had dinner – so it was a perfect opportunity for me to get to get some yummies. I had sweet potato fries and a “bowl” with rice and beans and tons of grilled veggies and a vegan red mayo. Delicious. Dessert: After dinner we caught up on some Daily Show episodes we’d missed, and I enjoyed some Dark Chocolate with Sea Salt and Almond with some Sugar Plum tea. How do you remember to take your food pictures throughout the day? I obviously need help 🙂 I’ll see you guys tomorrow for Thinking Out Loud Thursday! It was lovely 🙂 I think soup for breakfast is my new thing! I think lunch is my biggest problem area for taking pictures. Especially because I’m usually at work!! 🙂 🙂 Thank you! I made that yogurt bowl in highschool! I am the worst at taking food pictures. 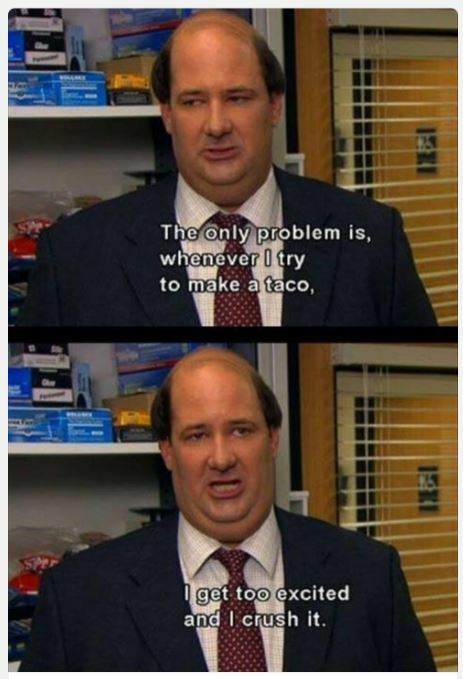 I usually remember five minutes AFTER I finished eating. Haha. whoops! 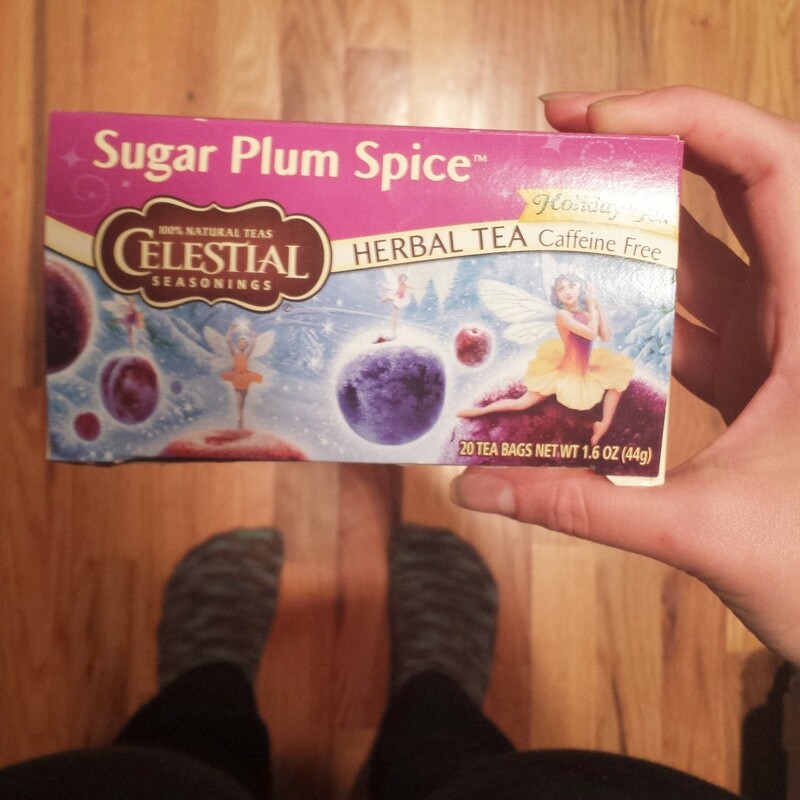 I LOVE that sugar plum tea! It usually takes me until the end of winter to finally find it. Seasonal teas are my fav! They sell it year round on http://www.celestialseasonings.com/ 🙂 🙂 🙂 < which is the best. Miso soup for breakfast is the best. Yum! 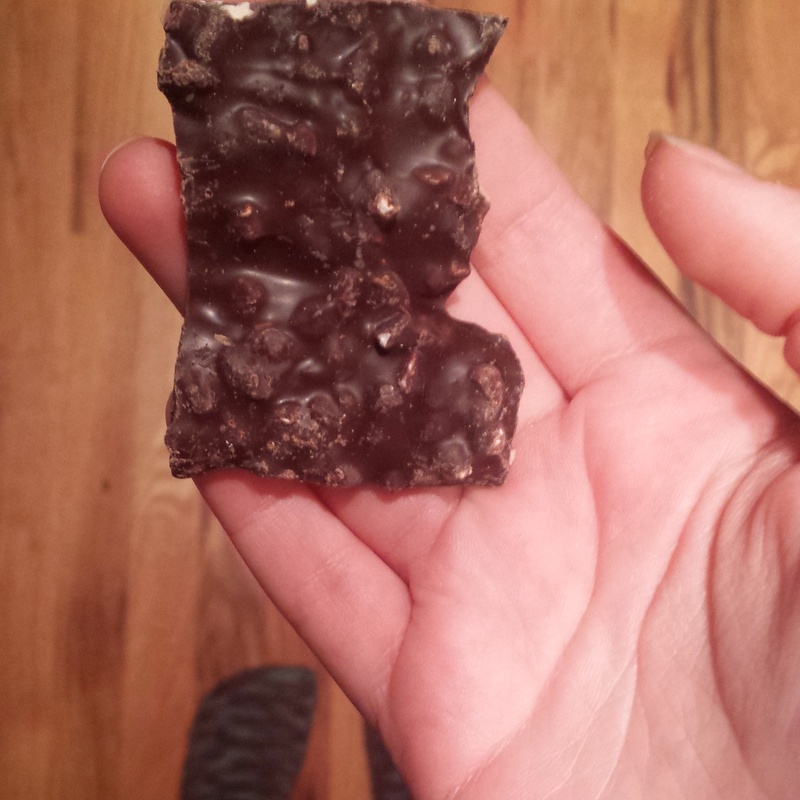 Dark chocolate with almonds & sea salt is my favorite type!